Fun is the best thing to have with our children while they are learning through play! 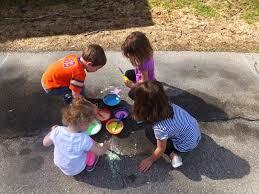 Play is an essential part of children’s overall development. It is their work. Playtime 1-2-3 is a private consulting business for parents and caregivers who want to understand how developmental play fits into their busy schedules and everyday lives, and how it contributes to school readiness. Dr. Lou listens to caregiver concerns, plans for assessment, models best teaching practices and coaches play strategies at home. She accepts referrals for children birth through 8 years old from pediatricians, family childcare homes/centers and schools. Home visits are offered to accommodate work schedules and blend into families’ lives. The home environment will be arranged for appropriate levels of developmental play. During the first phase of Playtime 1-2-3, Dr. Lou will observe your child in every day natural play environments at school, in the classroom, on the playground and at home.